I must say I was a little skeptical after hearing other folks with pools at work tell me that every time they open their pool it is green. One of my co-workers said, "It's just something you have to deal with every spring." Needless to say, he's been pool stored. I followed the closing instructions back in September as mentioned in pool school. 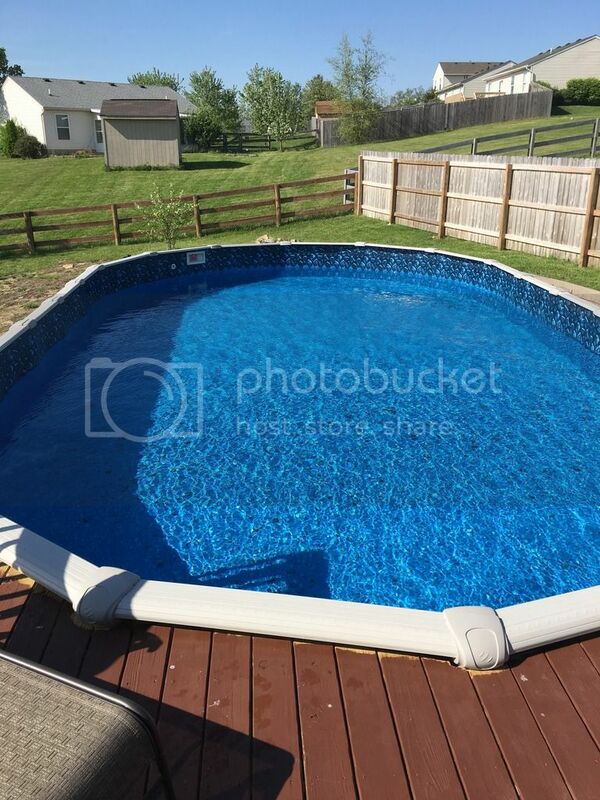 After having to purchase a new winter cover after some storm damage on March 1st and leaving the pool uncovered for a little over a week, the pool got a little cloudy, I added chlorine as recommended on this site and put the new winter cover on. This is what my first opening looked like this afternoon! TFP RULES!!! (Please ignore the unfinished staining on the deck. I couldn't get to that under the winter cover. Now THAT's what we're taking about. Very nice. Did you share with your coworkers? GOOD JOB! Cute water tester you have there! 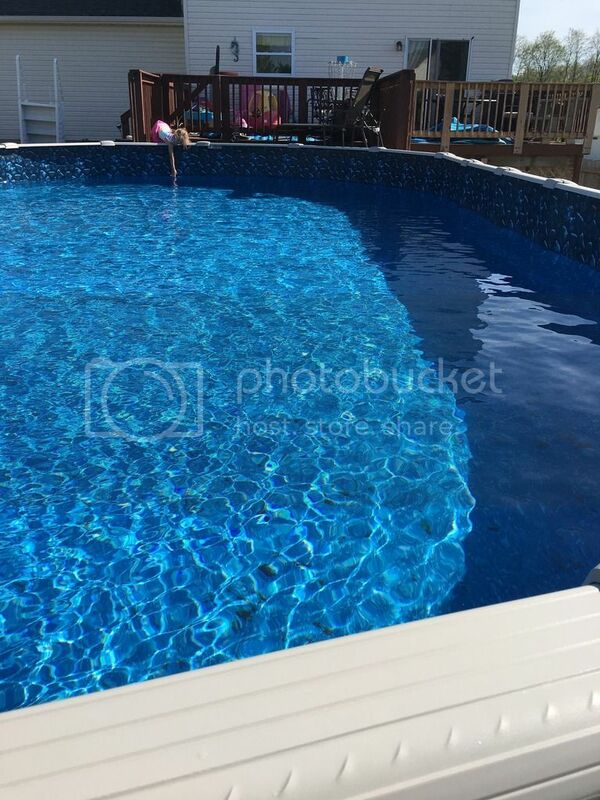 You should show that pic to your coworker and say.. "hum, just don't get what's so hard about all this pool stuff!"